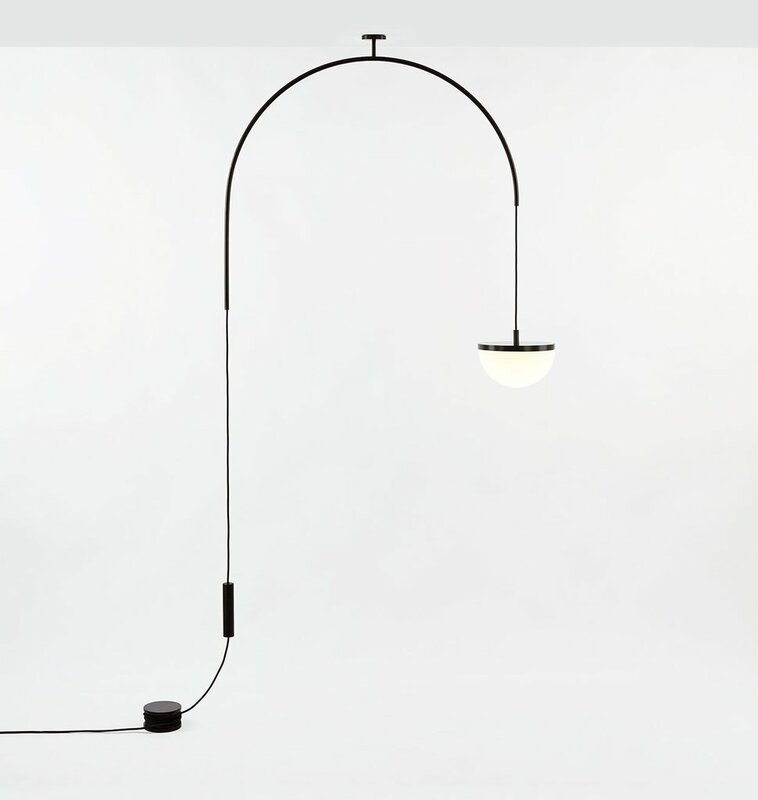 Ladies & Gentlemen teamed up with Norwegian design studio Vera & Kyte to challenge traditional lighting archetypes through their collaborative piece, Krane - the result of the studios’ shared affinity for simple, playful and sophisticated designs. 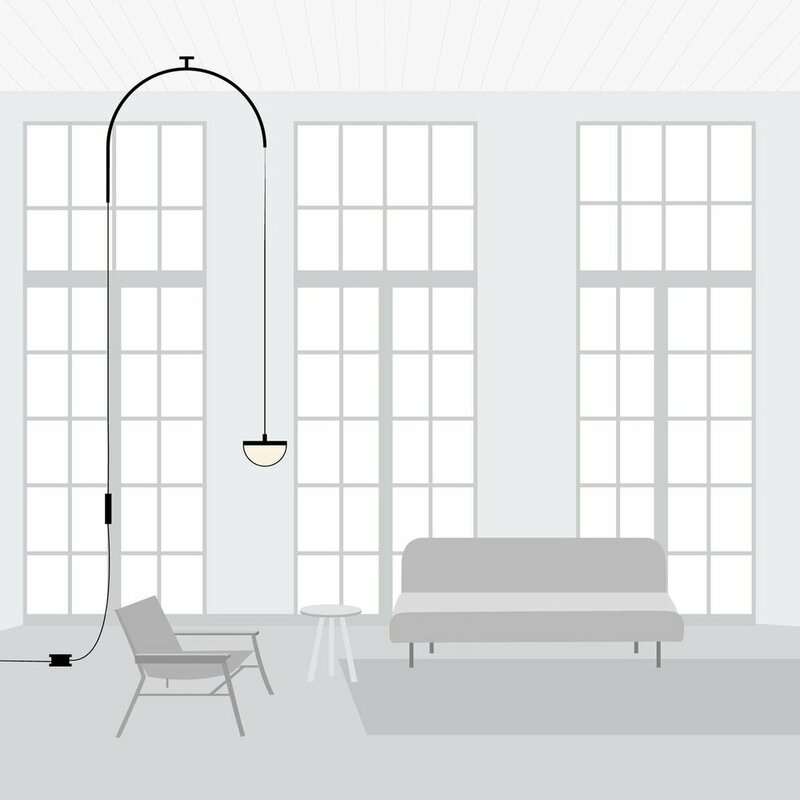 Krane juxtaposes simple shapes that work in concert to create a versatile lamp with multiple uses. 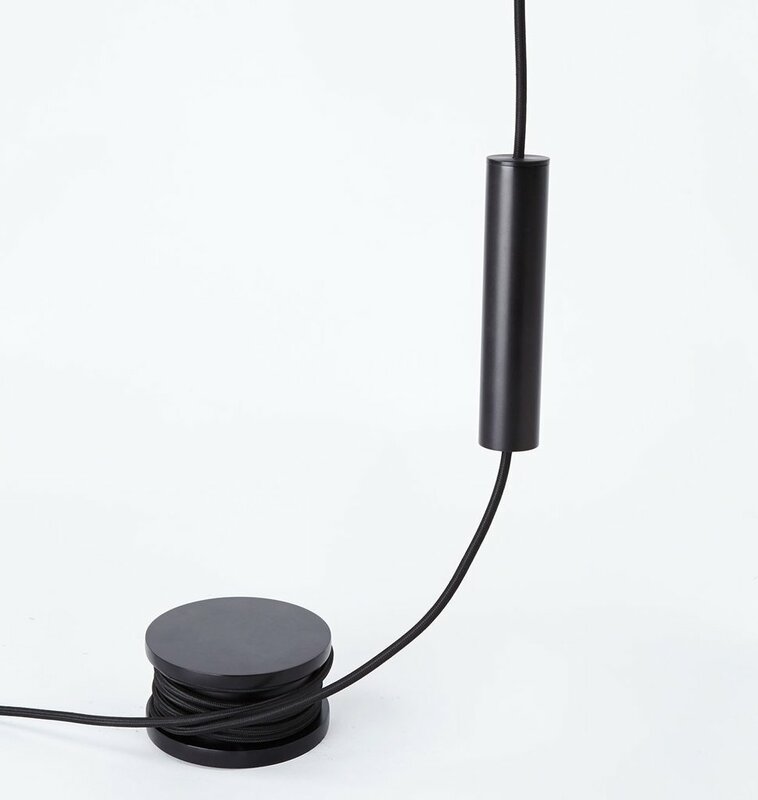 Mimicking the functionality of a crane, the cord glides through the arch with ease to raise or lower the shade, which is perfectly balanced by its counterweight. In repetition, the wall mount creates an archway, adding an element of architecture. dimensions - arch 36"w ; shade 10"w ; drop variable 18"-19.5"